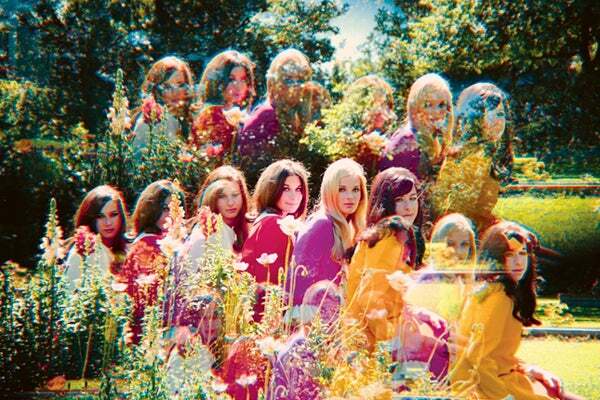 Win A Copy Of Forgotten '60s Girl Group Honey Ltd's Complete Recordings! In 1968, Marsha Jo Temmer, Laura Polkinghome, and siblings Joan and Alexandra Sliwin — all from from Detroit — uprooted themselves and headed for L.A. with dreams of pop stardom. Then known as The Mama Cats, they eventually wound up in a studio with legendary country singer and pop producer Lee Hazlewood who change the group's name to Honey Ltd. While that may seem like a dream come true, Hazlewood never even told the band that it was making an album before he released the group's debut (the women thought they were just recording singles). To make matters worse, it was the nadir of the girl-group age, and the record flopped completely. By 1969, Honey Ltd had disbanded with some members reforming as country-rock band Eve. Now, however, Honey Ltd's recordings have been reprinted and repackaged in the format they deserve. Light in the Attic Records has just put together the definite collection of Honey Ltd's recordings with Hazlewood's LHI label. Filled with crisp harmonies and the soul sounds of Detroit, the songs offer a glimpse at what could have been one of the biggest bands in the world should things have gone a little differently. The new set features remastered sound, comprehensive liner notes and interviews with the band, and the first 150 pressings are royal-blue-colored vinyl. To win a copy, just tell us your favorite underrated band in the comments. One winner will receive a copy of the vinyl for of their very own. Good luck! We'll let you know who won by noon on Friday.